I was recently marking out a part to be machined using my version of a surface plate namely an old piece of plate glass. I have had this for ages and it normally sits unused in a dusty corner of the workshop (actually all the corners are probably dusty and some with added cobwebs). I was having particular difficulty seeing the the surface due to reflected light and the transparency and once I had finished decided to look at buying a new surface plate. I was surprised to find that small granite surface plates can be obtained at quite reasonable prices. For example Axminster provide a 300mm x 200mm granite plate for about £40.00. If however you want a real precision job a Mitutoyo plate the same size can be had for £234.00. However as this would probably end up sitting in the same corner of the workshop and only be used on rare occasions I decided to investigate alternatives. 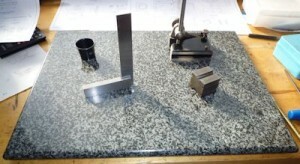 I have read in a few places that bits of granite kitchen worktop can be used to good effect and also that Tesco, Argos and the like, sell small granite worktop savers at reasonable prices. As I happened to be passing Argos I went in and found a 400mm x 300mm granite worktop saver for £8.00. At that price it had to be worth a go and if nothing else would be big enough to tape a sheet of abrasive paper to for flatening plane irons and similar jobs. Once home and unpacked I cleaned it up and checked it with a couple of straight edges. There appear to be no obvious highs or lows and the surface appears evenly ground and polished. I think with my limited ability to test for flatness it will suit my skill level and suffice until I need something more accurate. The only minor downside is that it is very shiny, I think a matt finish is normal on surface plate. I may be able to cut the glare with some abrasive cleaner but that could make it less flat. I wanted a smaller toolmakers clamp so made a couple. Not so much a project more of a “projette”. I thought I would document the making and add it to the site. I think it took longer to write the web page than it did to make the clamps. 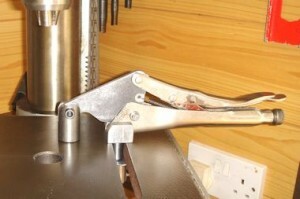 Anyway these clamps are always useful and easy to make. I made some at school – about 50 years ago – and they are still going strong. After some time without new content I have finally added a new page. 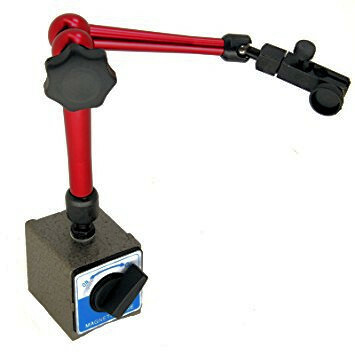 This is for a drill press hold down clamp. A useful adaptation of an old Mole Wrench which was lying unused in a box of bits that “might be useful one day”. 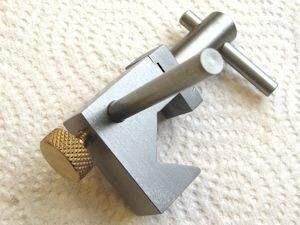 I have added a new page with some simple projects for use on the lathe. Nothing revolutionary but may be of use to you. 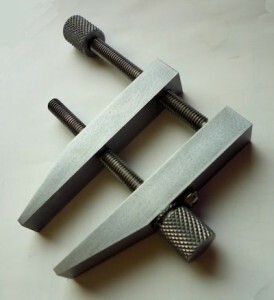 The most useful is probably the saddle stop which is an aid for turning up to a shoulder or setting repeatable lengths. I bought myself a new precision milling vice from Arc Euro Trade and quickly discovered that I needed to make a couple of clamps to hold it to the table. Quite a straightforward job you may think but even the simplest task can go awry if not carried out in the right order. Read how it should (or shouldn’t) be done!